Your vision has come to fruition. You’ve edited. You’ve watched your footage closely. You like what you see. A lot. You need to master the short before the three-hour opus. There’s usually pushback when I use the word “short,” especially from young filmmakers raised on feature films. But practicing brevity is the best thing you can do to your work. Good storytelling is about distilling ideas into something distinctly cinematic. Making good shorts hones your skills at doing so. Only after you master shorts are you ready to tell the saga brewing in your head. You need to cut some more. As the idiom goes, “get in late and get out early.” That means your 20-minute senior project is too long. No, really. Trust me. It is. And that means it’s going to get cut from more festivals than you can shake a boom pole at. Festival programmers get inundated with submissions. They’re looking for quality work that knows how to capitalize on the economy of the short film format. If you can’t cut your short to less than 10 minutes you’re making things harder on yourself. 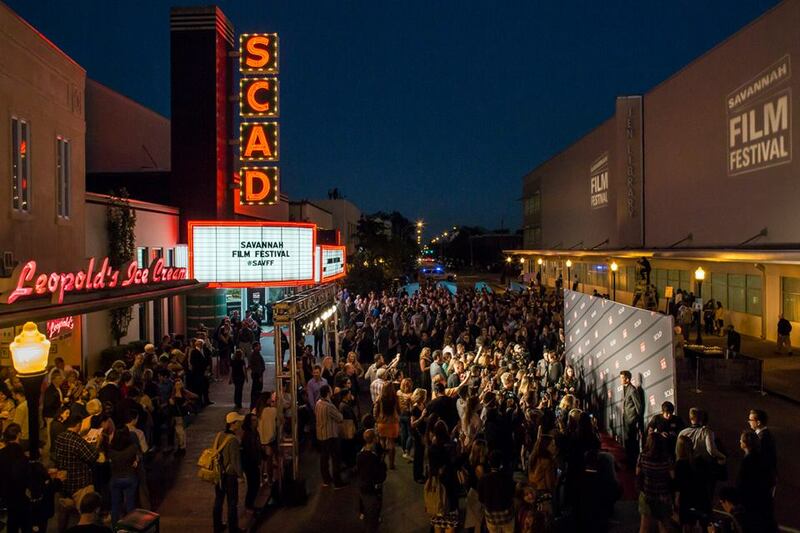 During last week’s Savannah Film Festival in Savannah, Georgia, I had a chance to catch up with several of my former students from the Savannah College of Art and Design (SCAD) who have graduated and are succeeding in the film industry. They echoed my thoughts exactly. Jett Steiger, class of 2006, has been making the Sundance rounds for years now. A thesis film he worked on called “The Execution of Solomon Harris,” about the botched execution of a death row inmate, was originally a 20-page screenplay. His team had to work hard to cut to the core of the premise and turn that into an eight-minute movie. But it paid off and the film was selected by Sundance. It was his team’s first film to make it in, opening the door for future submissions. Don’t discount small festivals or small projects. You should send your submission to Sundance and Cannes. And everywhere else, too. There are many film festivals today and that means there’s at least one for your film. Don’t discount a festival because you think your work is somehow better than it, or because it’s small or in some remote location. Remember, you made a film to tell a story to an audience. And people in the industry take notice of the festival circuit. Many smaller festivals are revered for their quality programming and often send their winners to larger organizations, giving them clout. This is a good practice in all areas of filmmaking, not just festivals. You should take on whatever work comes your way with a positive attitude. Alexander Hammer, another SCAD graduate, put a stellar work ethic first when tasked with grunt PA work that a lot of beginning filmmakers prefer not to do. During one of those projects, he made a positive impression on the right person and now works with Beyoncé and Jay-Z on much bigger projects, including music videos watched by millions. Every project can return dividends if you respect the craft and invest enough love into it. Don’t forget why you’re doing this. Your films should have meaning for you. Sending out work you hate is like going to a job interview in a thrift store bathrobe. Nothing is as obvious to outsiders like apathy. So don’t let your festival pursuits burn you out and make you lose heart. It shows. Have fun and make art. Focus on the project and worry about distribution later. Great work always finds an audience. Don’t let missing parts hold you back. This is important for anyone still in preproduction. Don’t give up. Get the film in the can. It’s dangerously easy, especially for beginner filmmakers, to quit because their team is piecemealed or they don’t think their equipment is up to par. Waiting on the stars to align could take forever. Do your pre-pro work and communicate your objectives with the team you have. Show them respect and gratitude for their input. If you know you have holes, patch them. If you can’t find a gaffer, review lighting options with your DP until you have a working solution. Giving up in the face of shortcomings means your team will give up too. The drive to move forward with a clear vision has a tendency to be contagious. If you show passion for your project then you stand a chance that someone from the outside will take notice and want to collaborate, solving whatever shortcomings you thought you had to begin with. Now go make a film. And don’t forget to keep it short. Michael Chaney is professor of film and television at SCAD. He has been directing short films and creating time-based media for over 25 years. His work has been screened at numerous international film festivals and exhibitions. His time at SCAD has focused on crafting a creative environment for students to collaborate and learn from each other through multiple disciplines.